The part-Egyptian jeweller who caters to Hollywood’s It crowd always pays homage to her Middle Eastern roots. As well as Rihanna, one of her earliest fans, the likes of Kendall Jenner, Alessandra Ambrosio and Emily Ratajkowski have been spotted wearing creations by jewellery rockstar Jacquie Aiche. That’s not to mention Gigi Hadid and Shanina Shaik, who have connections to the Middle East, just like her. Aiche’s A-list clientele is hardly surprising though. Her unique, sensual jewellery with a rebellious edge is made to empower and create positive energy, helping women feel unique, beautiful and goddess-like. Plus, of course there’s the use of those one-of-a-kind healing crystals and the fact you can choose stones to suit your personality. Before Aiche started welcoming celebrities to her Beverly Hills studio, where everything is made as she traipses around barefoot, she started selling pieces quietly while working at a clothing store. After starting a family, the mother of two, who speaks in French to her children, started working out of her garage. 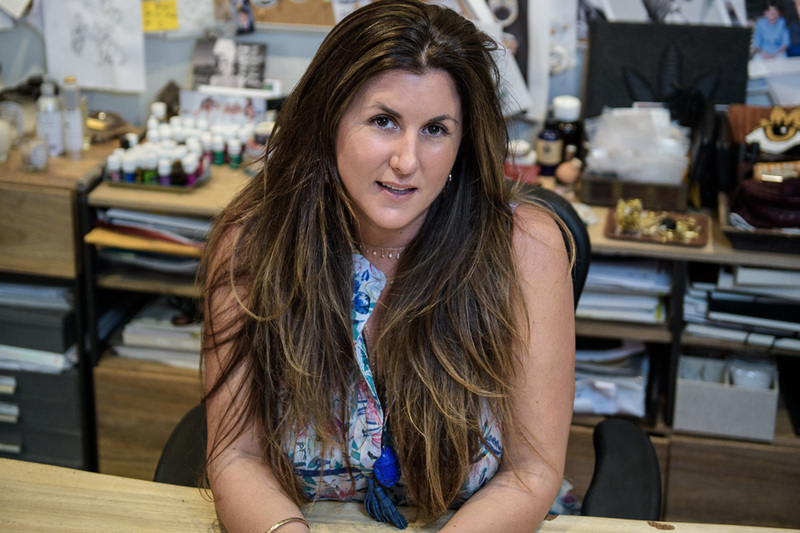 Aiche, who is known for her luxe bohemian aesthetic, started making waves with her namesake brand, which she launched in 2008, as it brought some much needed whimsy (and a touch of spirituality) to the often-conservative world of high-end jewellery. And her body jewellery, including the finger bracelets, born in 2009, and body chains, which have been worn by Beyoncé, Kate Hudson and MIley Cyrus, helped turn her label into an internationally acclaimed one. Aiche, who gets material from all over the world, is also known for making layering trendy. Diamond details, unusual gemstones and minerals, finely set in yellow or rose gold, are all used to create the pieces with the rich hippie air. What’s more, along with her strong connection to crystals and precious stones, Aiche is inpired by her mixed background; she has an Egyptian father and Native American mother. Middle Eastern influneces like hammered gold, goddess imagery and amulets are intertwined with turquoise, fossils and precious gemstones, which are a tribute to her Native American ancestors. 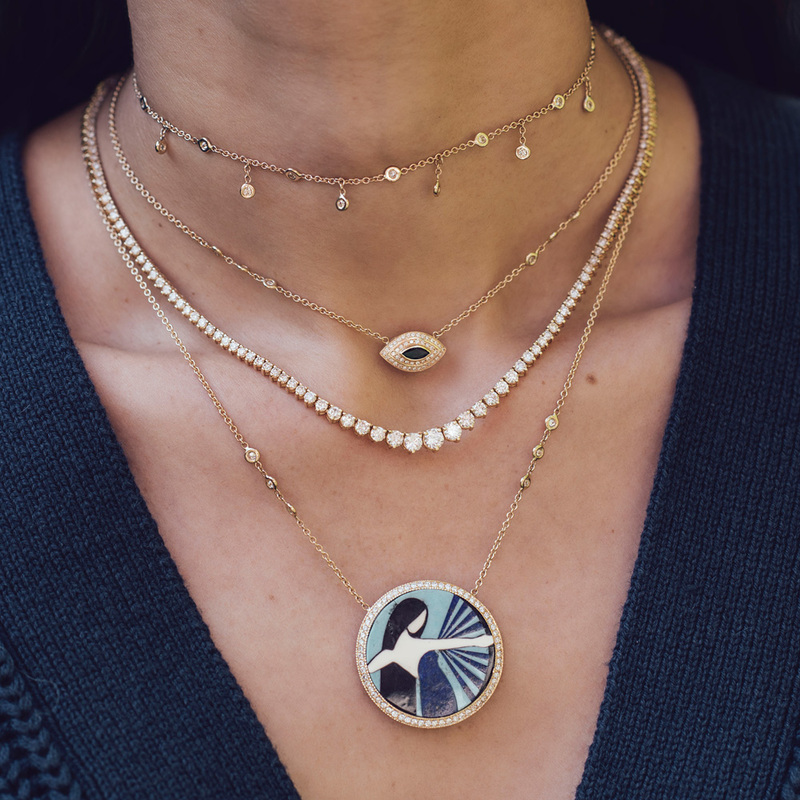 We talk to Aiche about her new collection, which features intircate handcrafted work, opal inlays that hold an energy that is specific to the wearer and the protective eye that’s so beloved in the Middle East. We also talk to the head of the #JATribe, the tribe that’s an integral part of her feats, about turning a passion into a success story. You even made jewellery as a young girl. What were your aspirations while doing so? I'm a gemstone girl. All my life I've gravitated towards the energy of different crystals and the way they can heal you. Designing and creating jewellery is my way of spreading the love. How do you think growing up in LA has helped shape you? I love the carefree vibe of Los Angeles. Women need jewellery that works well with their lifestyles, pieces that are transitional, beautiful and easy. Layers of diamonds, gold and gemstones are so easy to live in. The jewellery I design carries this California energy with it...life is just better when the sun is shining and the living is easy. How did you turn a homemade business into such a success story? I’ve always had a very wild and spiritual nature. I think it’s that rebellious spirit to constantly shake things up that has made me successful as a designer. And the love and support I get from my tribe, it's an unstoppable force. When you're doing something you love, you have to put fear on the back burner. Seeing how my pieces made women feel inspired and motivated me to keep designing. Feminine, sensual and free-spirited; I love designing diamond and gemstone adornments that illuminate natural beauty. The kind of pieces that give you the aura of a goddess and the confidence of a rebel. Can you expand a bit about the cultural influences in your designs? My Native American heritage pulls me towards the turquoise, fossils and precious gemstones. And I love the Middle Eastern influences of hammered gold, goddess imagery and amulets. Merging the two together is my signature. Tell us about the gems and materials you usually use. I’m a big believer in the power of crystal healing. I create my jewellery with the intention of empowering women, so I'm constantly drawn to stones that give the beholder feelings of love and beauty. The unique energy of each stone draws you in, and once they touch the skin, you just radiate. How often do you release new collections? I've never been one to limit myself...I'm always creating. Can you tell us about what inspired you while working on the latest one? Each of the new opal inlays holds an energy that is specific to its beholder. They're vibrant, and I love how uniquely beautiful and intricate the opal inlay work is. After seeing the handcrafted detail come to life with the “Shield,” “Sunshine” and “Galaxy,” I knew I had to expand the collection. Eyes are a symbol of protection from negative influence and harm, so it just felt natural for them to be the newest addition. These pieces are incredibly personal and sacred amulets. I never take mine off. Hold on tight lover, it’s gonna be a wild ride.